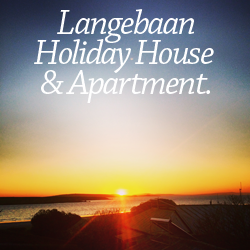 Address: Across Langebaan Spar – in Langebaan, on the West Coast of South Africa. If you want a day of FUN FUN FUN, come to Sunny Park! We have numerous fun activities for young and old! Sunny Park is popular for birthday parties, church youth outings andschool outings! It’s the perfect place for Fun Filled, Action Packed Activities! Address: Saldanha Road, Vredenburg, inbetween Saldanha & Vredenburg. Telephone:Phillip Scott +27 (0) 22 715 3016. Scotts Nursery was opened during June 2000. Despite such a short existence, we are already able to offer a wide selection of plants, pots and gardening equipment with special emphasis on gardens of the harsh West coast climate. Our mission is to extend the nursery facilities, so that the whole family will enjoy an outing to Scotts Nursery. Soon to be introduced will be a playground, tea garden, as well as an animal park. Open every weekend and school holidays – 11h00 – 18h00.